Samsung Galaxy S3 is an awesome feature packed smartphone with cool features which include Smart Stay, S Beam, S Voice etc. 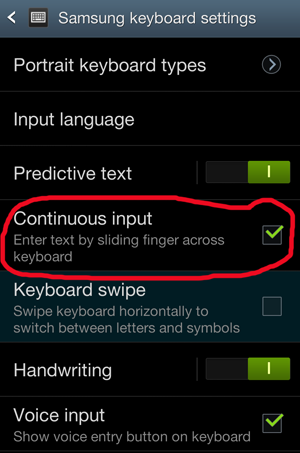 There is one more cool feature which comes pre-installed in most Android phones, The Swype Input. The Swype Input or Swipe keyboard is a Continuous Input method by tracing the path over letters on a virtual mobile keyboard. Swype claims it to be the fastest way to input text and it also is very fast. Today I'm going to show you How to enable Swype or Swipe input on Galaxy S3. 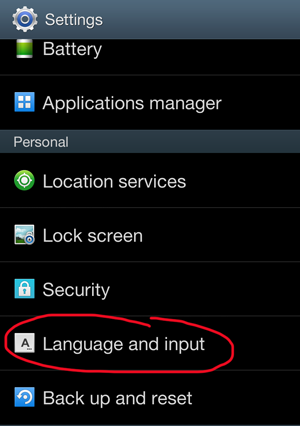 Here are the steps to enable swype input on your galaxy s3 or any other android device. 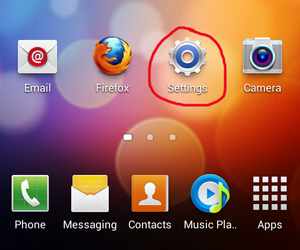 Step 1: Go to your Galaxy S3 Settings. Step 2: Scroll down and Go to Language and input. 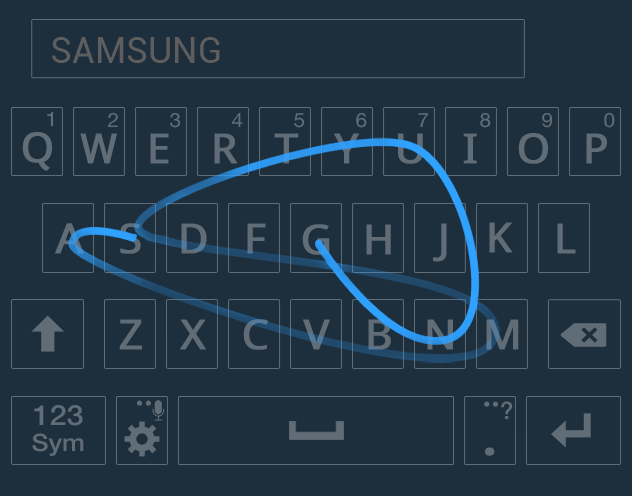 Step 3: Now in Keyboards and input methods section, Click settings icon next to Samsung Keyboard. Step 4: Now tick the Continuous input method. 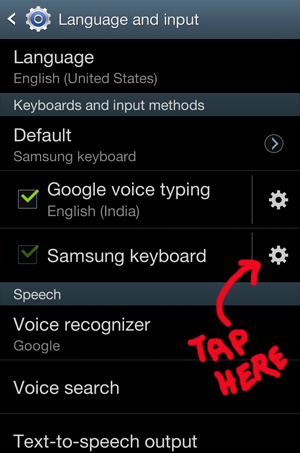 This will enable swiype keyboard input on your galaxy s3 / android device. Now just open Text message or notes app to try the new input method. Swype will work on apps which use samsung keyboards.